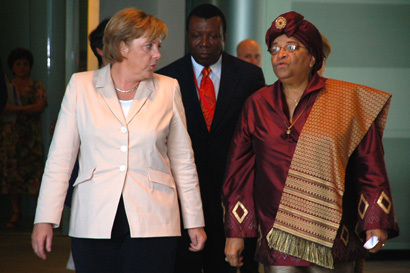 After concluding her visit to the US, President Sirleaf paid a visit to Germany, where she held talks with the German Chancellor Angela Merkel and other German Officials. President Sirleaf waving to Margibians upon arrival in Worhn Town Gibi District. President Sirleaf receives Traditional welcome upon arrival in Worhn Town Gibi District. 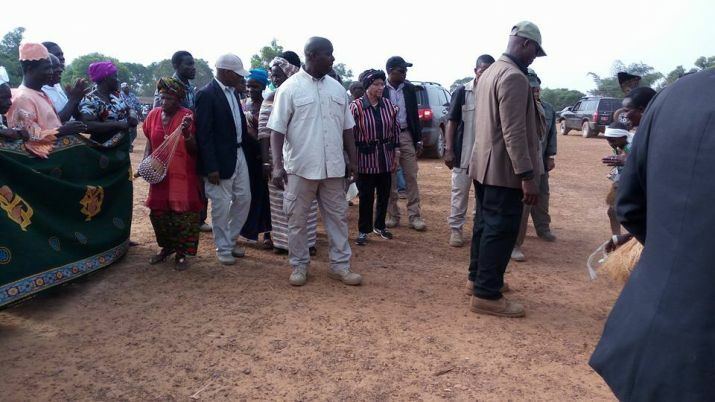 Margibi Suprintendent John Z Buway receives President Sirleaf upon arrival in Margibi County. 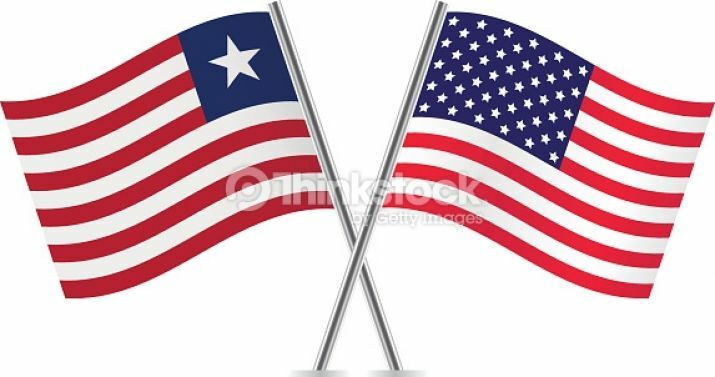 The United States Remains Committed to Working with Liberia to Strengthen Our Bilateral Relationship - Outgoing Secretary of State Kerry Assures President Sirleaf. President Sirleaf Dedicates 70 Affordable Housing Units in Brewerville. President Sirleaf Dismisses Assistant Foreign Minister for Legal Affairs Atty. Evelyn Lah-Adile. President Sirleaf Congratulates AFL; Former President Obasanjo Calls for Obedience, Commitment in New Army. 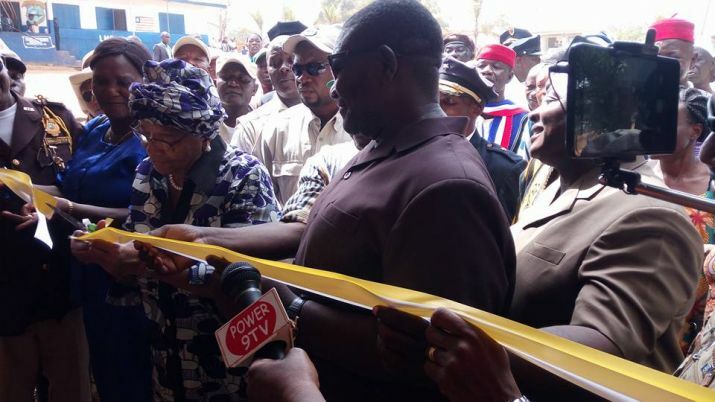 President Sirleaf Opens Bomi County Service Center; Congratulates Citizens for Keeping Peace. President Sirleaf Dedicates Gbapolu County Service Center; Urges Citizens to Make Use of Center. 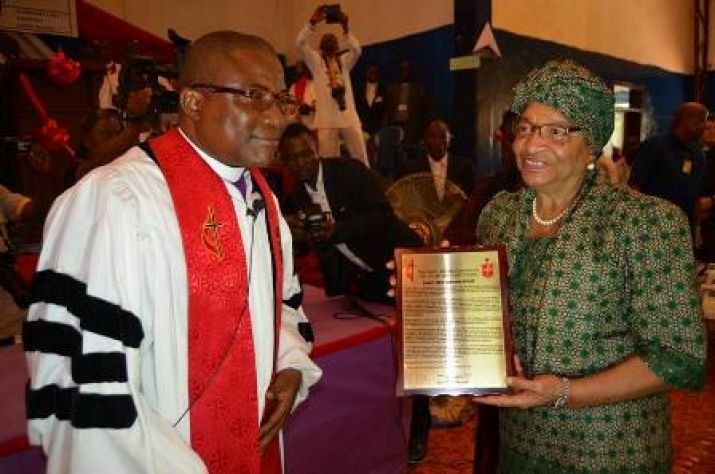 President Sirleaf Dedicates Grand Cape Mount County Service Center. President Sirleaf Receives Spanish Envoy Luis Prados Covarrubias; Welcomes Delegations From Cities Alliance, Habitat for Humanity Initiatives. Cabinet Reviews State of Economy; Receives Updates on Commerce-Related Issues; Mandates Actions.